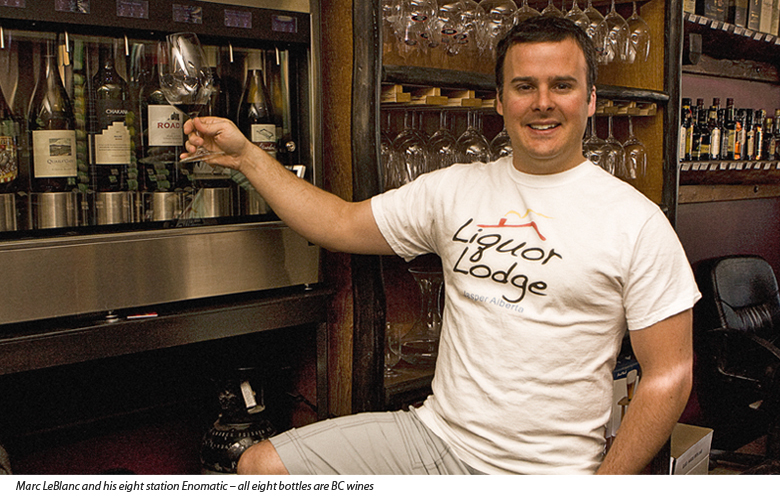 While in Jasper a couple of weeks ago, I interviewed Marc LeBlanc, the owner of the Liquor Lodge. Marc is instantly likeable – great sense of humour, passion for business and passion for wine… especially BC wine. According to Marc, Jasper is one of the best Canadian towns to showcase Canadian products in part thanks to the large number of visitors from other countries. At the Liquor Lodge, Marc has an Italian Enomatic wine dispenser of which there are only about 400 in Canada. For Marc, the Enomatic is specifically a showcase for BC wines and currently all eight slots hold BC wines. The wine will last 3-4 weeks in its’ oxygen free environment, but Marc goes through a lot of sample bottles – saying that if a customer tastes BC wine, they will buy it. Q. Is BC the next ‘hot’ wine region? Business background and self-taught. I did a five year commerce course and prior to opening the Liquor Lodge I was an account manager with Coca Cola. Q. What in your opinion, are some of the more impressive wineries in the Okanagan? A. Mission Hill is to me the high temple of wine showcasing in Canada. Some say it’s austere and unfriendly but I’ve had exceptional experiences there and everyone was very friendly. The Okanagan is riddled with small family run wine operations where you get to meet the founder and winemaker and that’s truly amazing – to be able to interact with these people on their own turf… but you also have to appreciate Mission Hill for what it is. It is the biggest operation in the region and therefore the biggest showcase facilities. Q. Do you have any frustrations with the wineries in BC? A. I don’t – other than the prices are occasionally so high that I wonder if they are in touch with the market. Those wines will sell infrequently which is frustrating if the vineyard minimum is 12 bottles at a time. 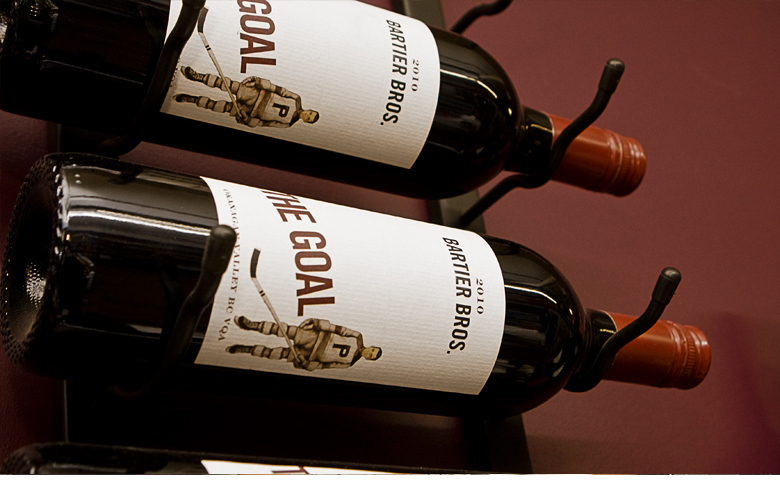 Some wineries are smartening up and putting them in 6 packs. Q. Is there enough industry marketing support? A. No! 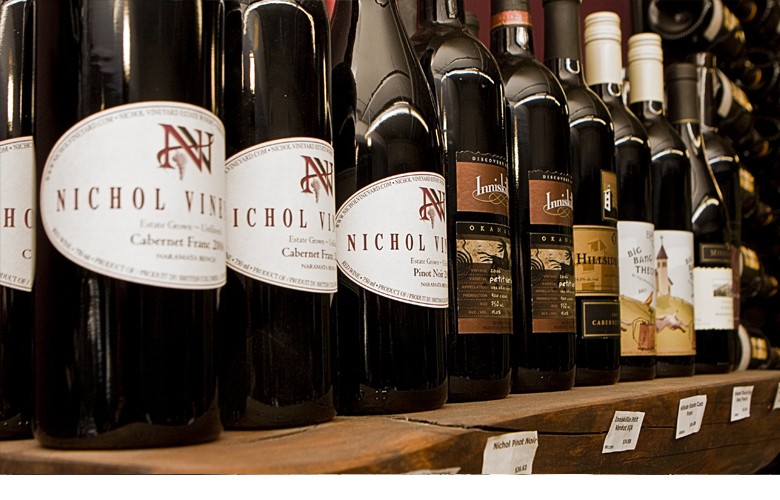 Other wine regions have large functions and tasting events in Alberta for both their market and the public. At the California Wine Fair in Edmonton and Calgary – there are 1000′s of people. BC needs to up their budget. They have a presence but should be paying more attention to the Alberta market. 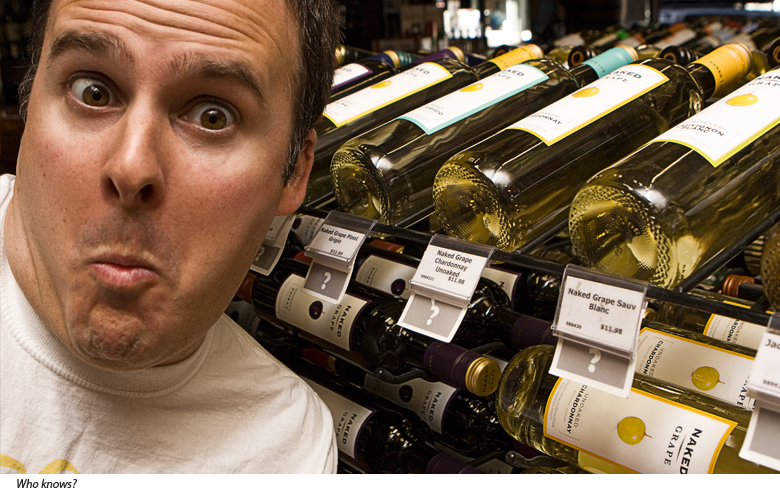 When the average Albertan buys wine, they’re most often not buying Canadian wines. If the industry came up with a marketing budget and action plan for Alberta alone, then they would be able to compete. Q. 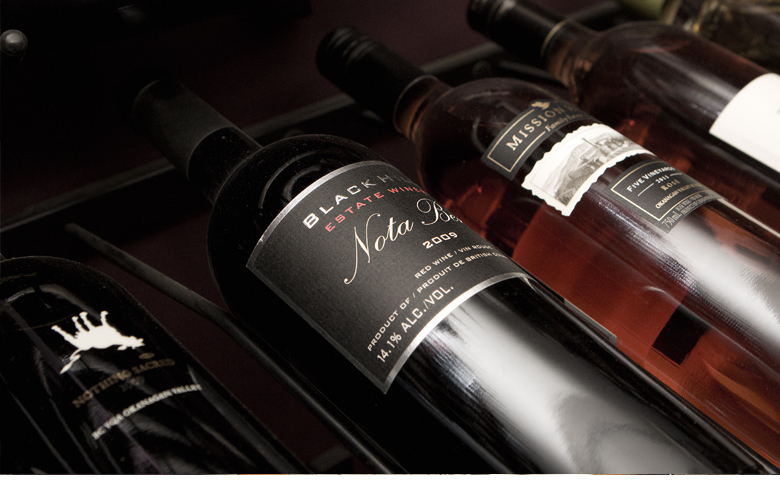 Have you checked out the BC Wine Institute’s web? A. I’ve recently become a user – it’s great. Lots of statistics and industry info that I can pass on to consumers. 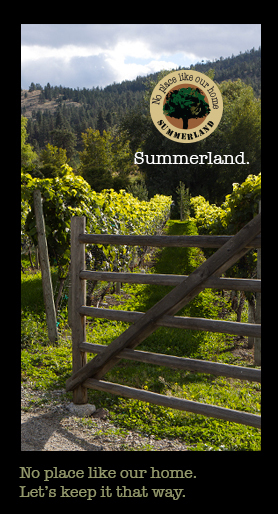 I find that the tourists– foreigners especially, are curious about the BC wine industry. For example, the Chinese love ice wine. They often ask “Does Canada make wine?” The Wine Institute is great for educating our visitors. Q. How has the perception of BC wines changed? A. The quality of Canadian wines has improved vastly over the past decade so any bad reputation is no longer justified. It used to be the case that if you went into a restaurant in the Kootenays and asked for a wine list, they’d say “We got red Calona or white Calona – take your pick.” Not any more, thankfully. Q. Name a winemaker that you consider exceptional. A. Tom DiBello. I met him at Cedar Creek. I’ve been enjoying his wines and selling them now for five years plus. Q. Any problem acquiring any particular wines? A. Blue Mountain. I want it because I want the best wines from the region and I want to draw the consumers who want the best. Blue Mountain have an exclusive deal with a store in Calgary and a few high-end restaurants. I’ve phoned them and their answer is that they have this exclusive deal and are sorry but are unable to provide it. They may change that game-plan as time goes on. We’ll see. Wine is a funny commodity – at the ultra high end there exists a few brands whose availability are rare and in some cases it overstates the quality. To the contrary Blue Mountain is quite delicious. The good news is that there are others which have caught up – Kettle Valley, Le Vieux Pin, La Stella, Poplar Grove. Church and State is another and quintessential to their wines is their ability to blend. Q. 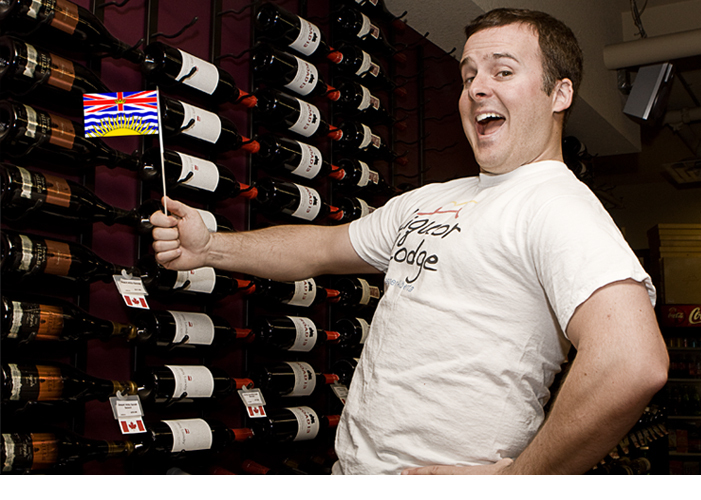 If you could ask questions of BC winemakers, who would you ask and what would you ask them? A. I would ask Bob Ferguson from Kettle Valley Winery to tell me about his experiences working with so many different varietals in the Okanagan. Kettle Valley releases so many different styles – at least 8 or 10. They’re doing blended single varietals and doing single vineyards – like a Pinot Gris from a certain acreage. That’s interesting to me. I would also ask one of the wineries like N’kmip or Hillside if I can come and stay for a month and help them harvest the grapes. As a retailer, it would be an invaluable experience. Q. What makes you excited about the future in the business? A. The quality and selection continues to improve and I’m excited to be part of that. Ratio is that only 20% of wines being promoted to me by the reps, are Canadian. That is way too few! They rep a Canadian brand along with others from all over the world. Are there no Canadian only reps? Not yet financially feasible. Close, but not yet. Q. Have you been contacted by any BC wineries? Yes. He has a good relationship with Sandra Oldfield owner of Tinhorn Creek. Also Blasted Church, Kettle Valley, and Kettle Valley’s Bob Ferguson came to visit Marc on the VQA panel. Q. 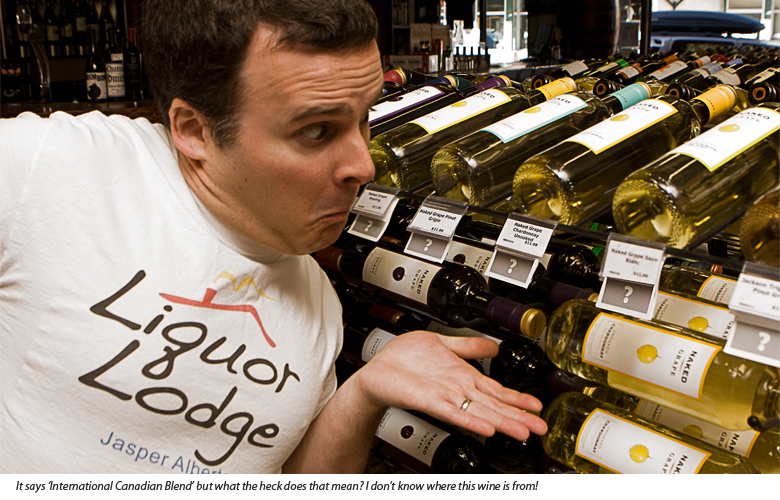 Why should Albertans buy BC wine? A. Besides the wine being so good? As a consumer we should buy products with a smaller footprint. For an Albertan customer – choosing Canadian and especially BC since it’s right next door, is the smart choice. Well this might be editorializing …. but it would also be a smart choice to www.voteformarc.ca in the Business Develoment Bank’s Young Entrepreneur Award competition. Please help out this young entrepreneurial ambassador of BC wines but voting daily for Marc until June 11 when the contest ends. Thanks!